PLYMOUTH pentathlete Annabel Denton produced an impressive performance to finish eighth at the Under-19 European Championships in Poland. The 14-year-old was making her debut at the competition and was one of the youngest athletes in the field. 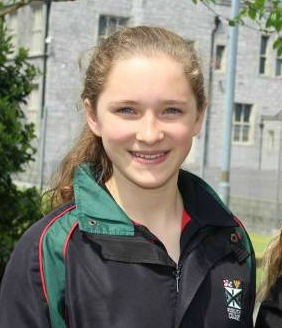 Her Plymouth College team-mates Emma Schonborn and Georgina Mitchell also reached the individual final. Schonborn, competing for Germany, finished 23rd, with Great Britain’s Mitchell coming 28th. The final started in the pool with a 200m swim where Mitchell led the way for the British team with a 2:19.78 swim. Denton clocked 2:24.18. But it was in the fencing hall where Denton made her mark with one of her best displays of her career in that discipline, claiming 22 victories, with Mitchell securing 17. Denton, who recently claimed gold at the Under-19 International Trophy in Portugal, went in the final laser-run discipline in fourth place with Mitchell in 15th. With positions changing continually, Denton was right in the mix for a medal, along with fellow Brit Alex Bousfield. Going into the final 800m loop, numerous athletes were separated by just a small margin. But in the end Denton had to settle for eighth.